To know us, we are creative, passionate, resourceful. While some arts events only come around annually, these ongoing arts initiatives in Winnipeg, Manitoba will inspire all year long. 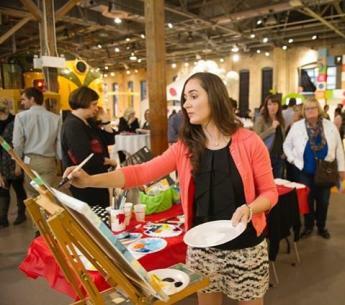 Part networking event, part arts extravaganza, The HUB’s mission is twofold. First, it is a means to connect and network with local talent and second, it aims to provide a platform for artists to express themselves. “We strongly believe that this city has some of the best artistic talent in Canada if not the world, and we try to provide a platform through our events to help showcase and expose their talents,” says Vincenzo Mancini, Marketing Coordinator for Culture Card. Multidisciplinary events like those of The HUB have been previously underutilized in Winnipeg’s arts landscape. Now, the organization works to forge collaborations between even the most unlikely of matches for monthly themed events. 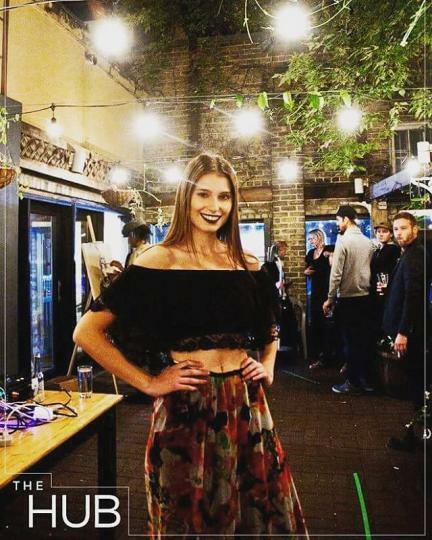 Local fashion designers, chefs, authors, dancers, musicians and businesses combine talents to create exciting, diverse parties with artistic flair. Past events have included pop-up art installations, virtual reality and performances from the city’s most renowned institutions such as the Winnipeg Symphony Orchestra and the Royal Winnipeg Ballet. 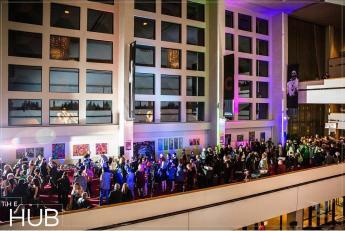 While the venue is always changing, The HUB has been held in some of the best locations in the city. Sip cocktails and watch a fashion show on the gorgeous rooftop of the Metropolitan Entertainment Centre, or discover the art of virtual reality at the trendy Forth in Winnipeg’s Exchange District. The HUB is becoming one of the city’s best arts events, continually re-enforcing the notion that Winnipeg’s arts scene may just be Canada’s best kept secret. And what’s more, beyond The HUB, Culture Card is working behind the scenes on many other events held throughout Winnipeg in an effort to show off our multicultural city. Download the Culture Card app via Google Play or the App Store to keep up to date on what’s coming up every week in Winnipeg. For the arts-inclined, “TGIF” takes on new meaning at the beginning of each month in Winnipeg’s historic Exchange District. Artists Sue Gordon and Karen Schulz are the masterminds behind First Fridays, inspired by similar events that take place in major cities, including in Kansas City where Gordon became motivated to bring it home. Here’s how it works: On the first Friday of each month (year-round), Winnipeg’s Exchange District comes alive as artists open their studio doors for those with a curious eye. Depending on the type of explorer you are, there are two different ways to enjoy the event. The independent type can embark on a self-guided tour through art galleries, studios and craft exhibits. Guides are available 10 days before the event on the First Fridays website and include special events such as art gallery openings and opportunities to get hands-on with art. Those who prefer a bit more guidance can participate in an ART TALK/ART WALK that includes a dinner at a local restaurant in the area, a moderated talk with local artists and a guided tour through galleries and studios. Design Quarter Winnipeg is non-profit organization with several objections in mind, most notably to position Winnipeg as a design city and to strengthen design tourism. Pick up the Design Quarter map (available for pickup or online) and follow the self-guided walking tour to take in Winnipeg’s best local design retailers, studios, restaurants, fashion designers, art galleries, cultural events and more.